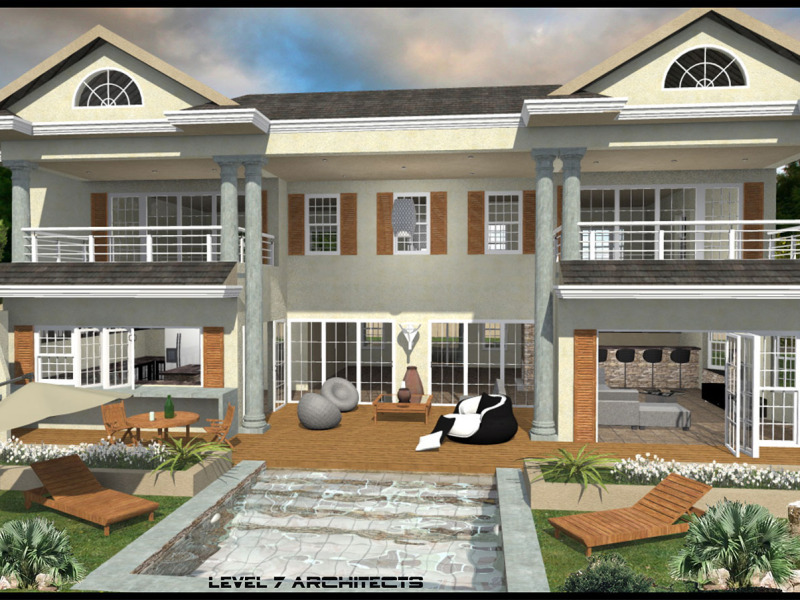 Level 7 has been instrumental in making dream homes & architectural projects, becoming a practical reality, with innovative, creative & dynamic design. 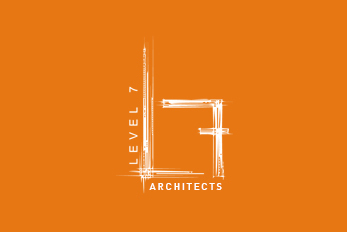 Established in 2007, Level 7 Architects has been instrumental in making dream homes and architectural projects, becoming a practical reality. 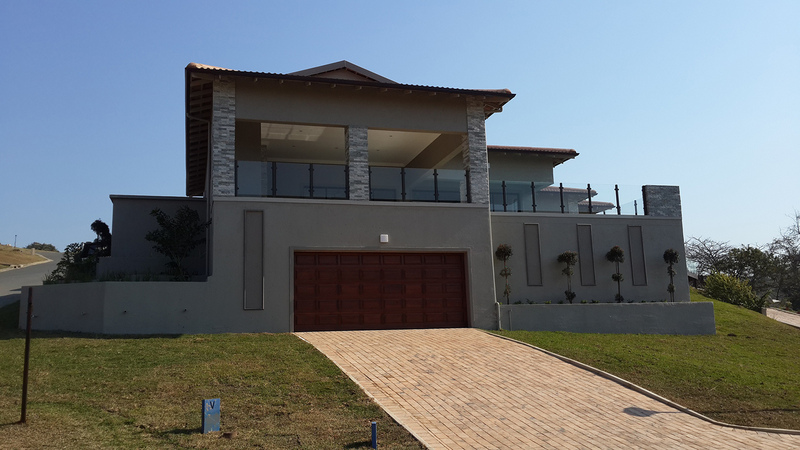 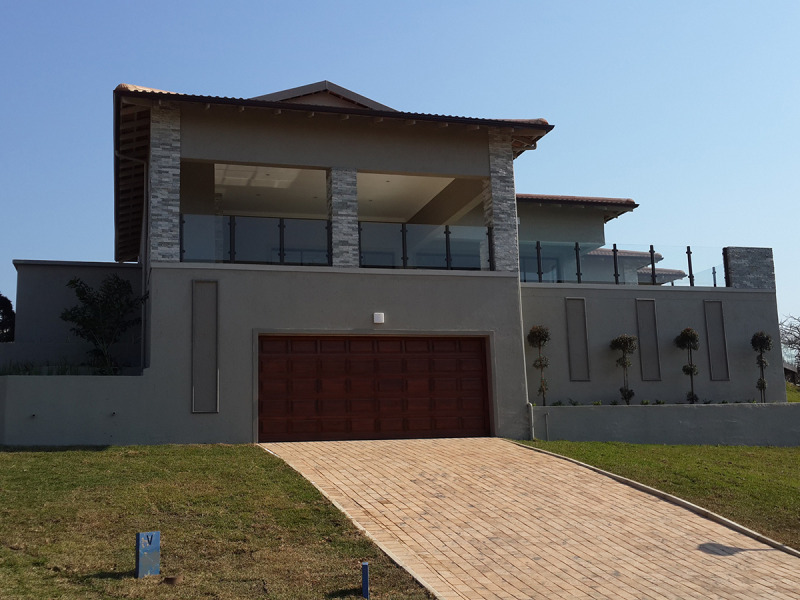 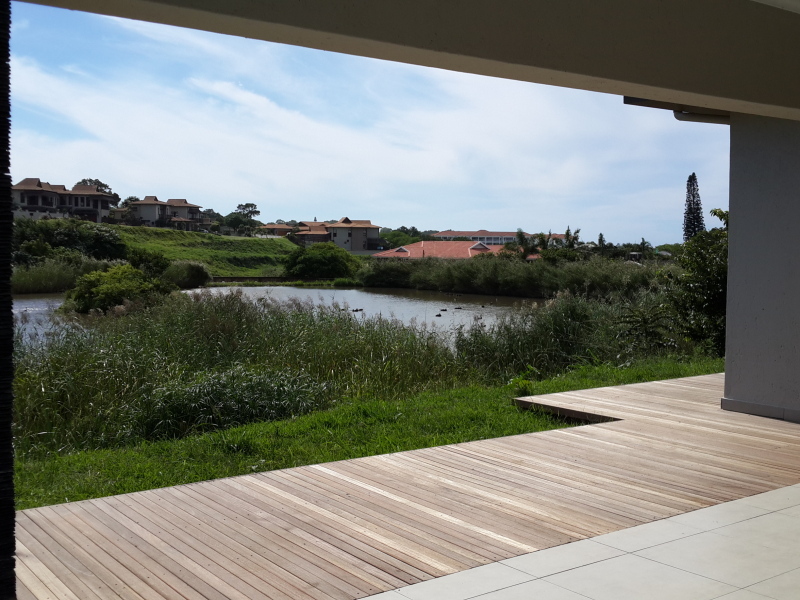 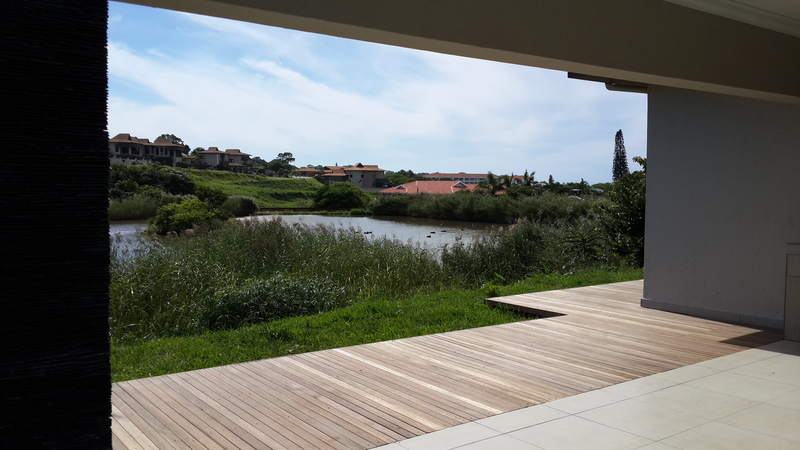 This firm (situated in Shelly Beach, KZN South Africa) is dedicated to serving their clients by supporting the highest principles of modern architecture. 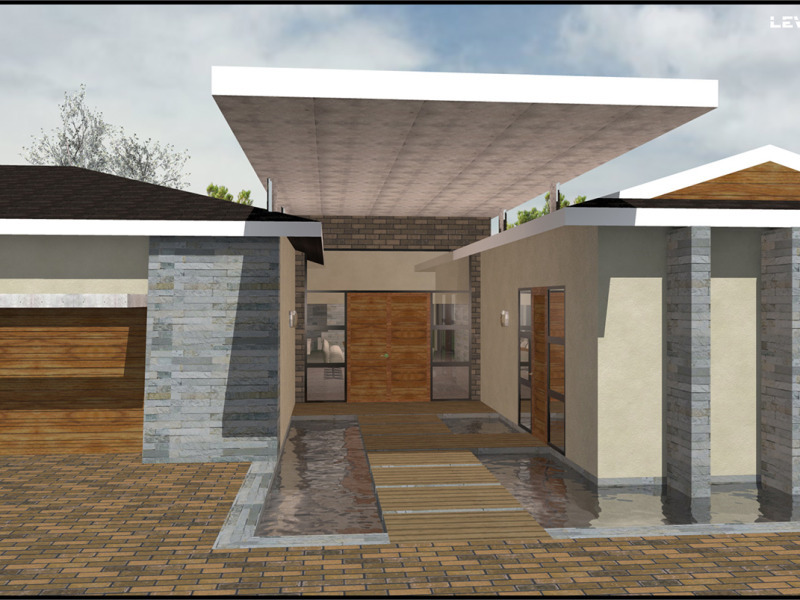 With key business sense and creativity, individual attention to each client’s lifestyle and needs is fundamental to ensuring that their architectural project is designed around themselves, and to suite their home / business environment. 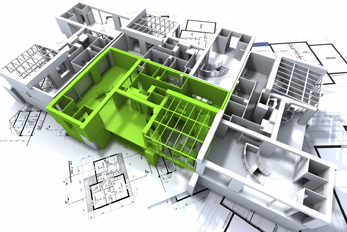 Our strong commercial, technical and administrative skills have ensured successful projects for our many clients. 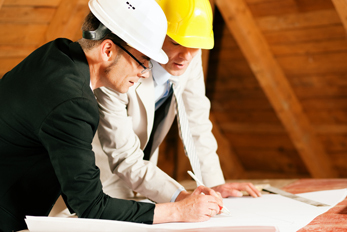 Our record is evidenced by the number of repeat clients for whom we have worked. 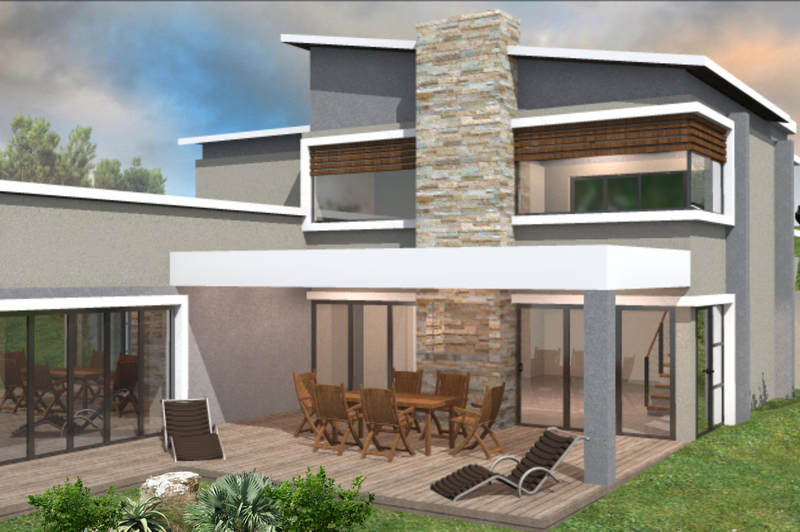 The South African climate also plays a vital role, and with individual attention to detail, a unique design is always conscious of social, cultural, economic and material context. 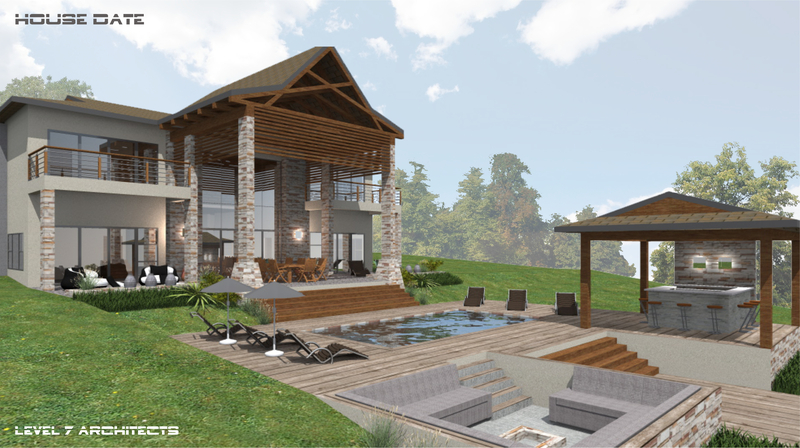 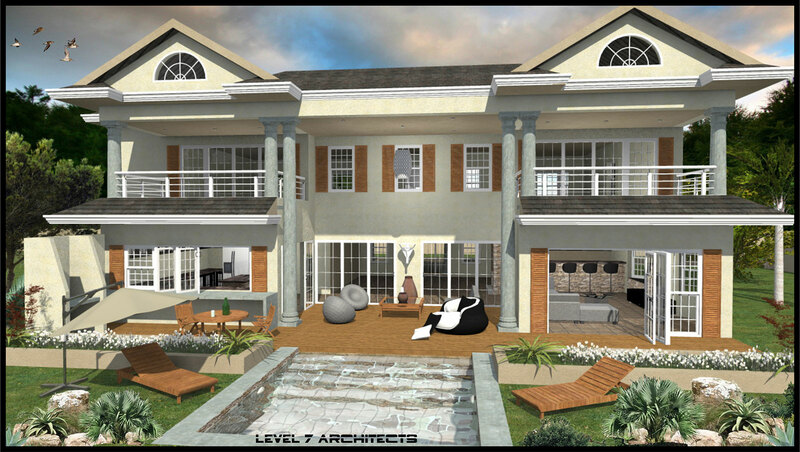 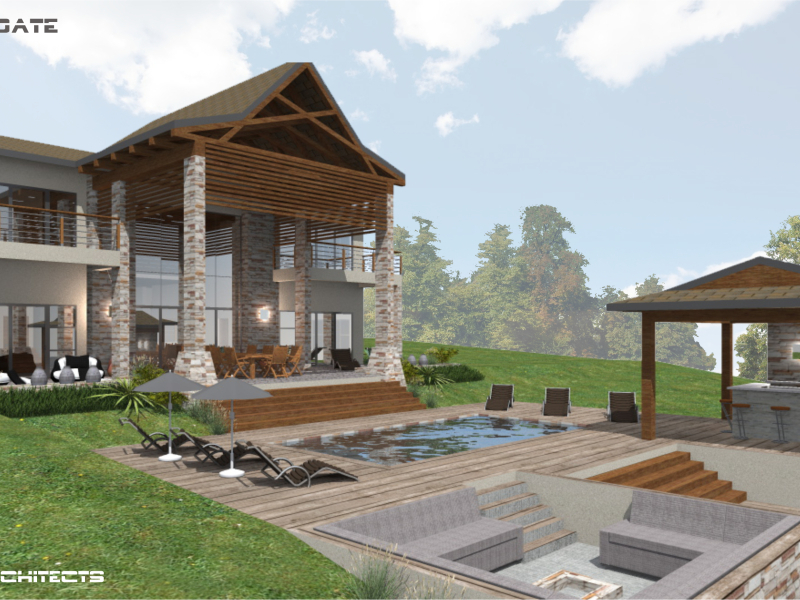 Level 7 Architect designs are borne out of the dynamic of the site and fused with functional needs, structural integrity, orientation, light, water, and landscaping. 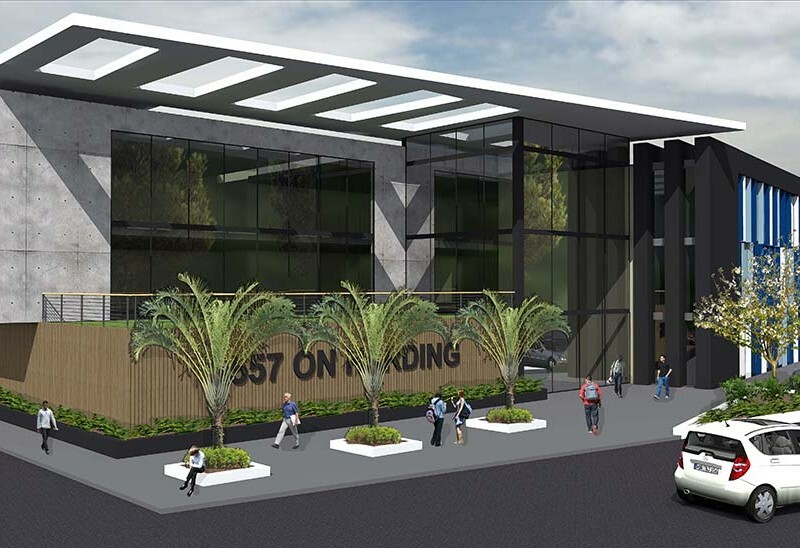 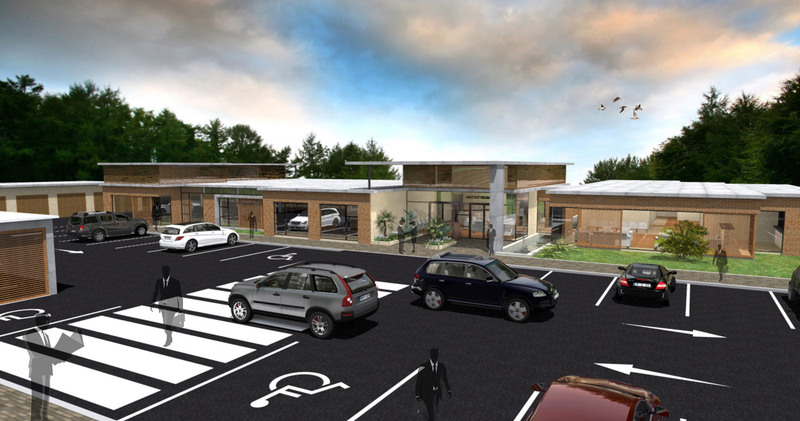 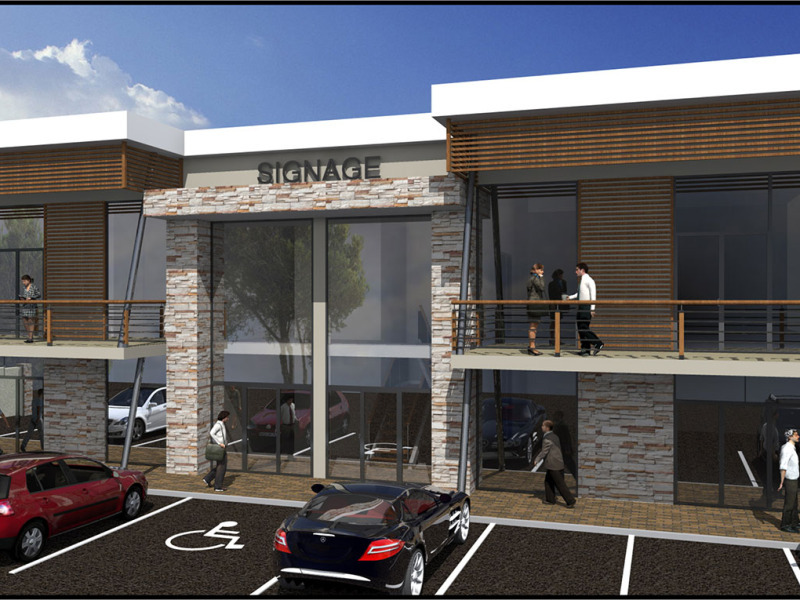 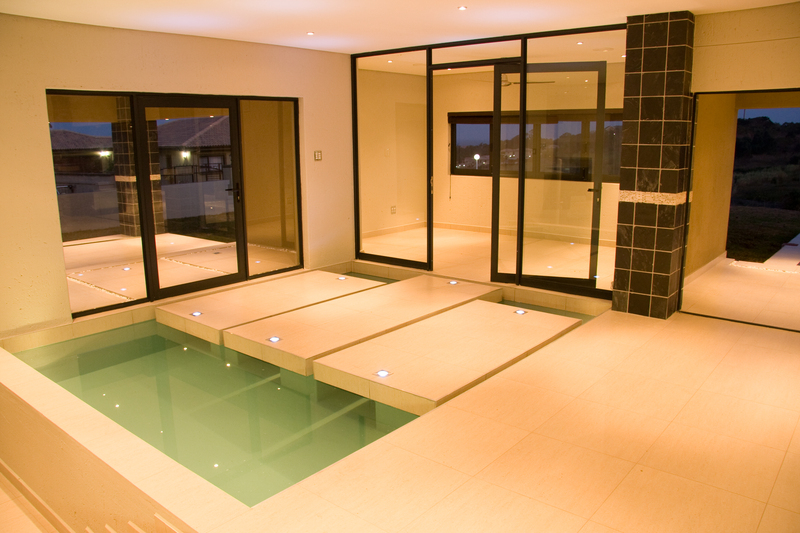 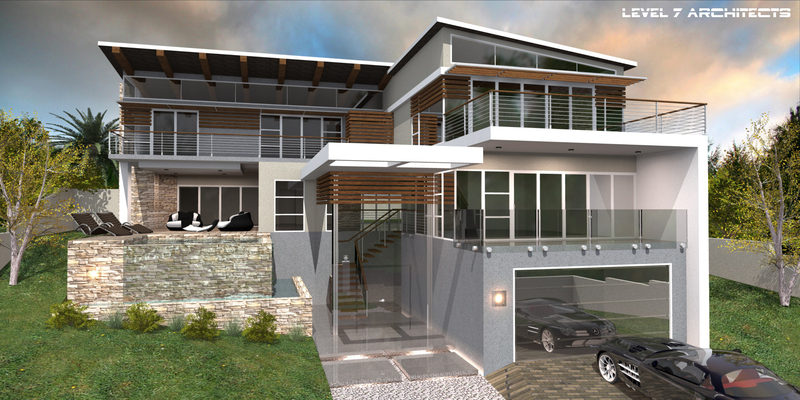 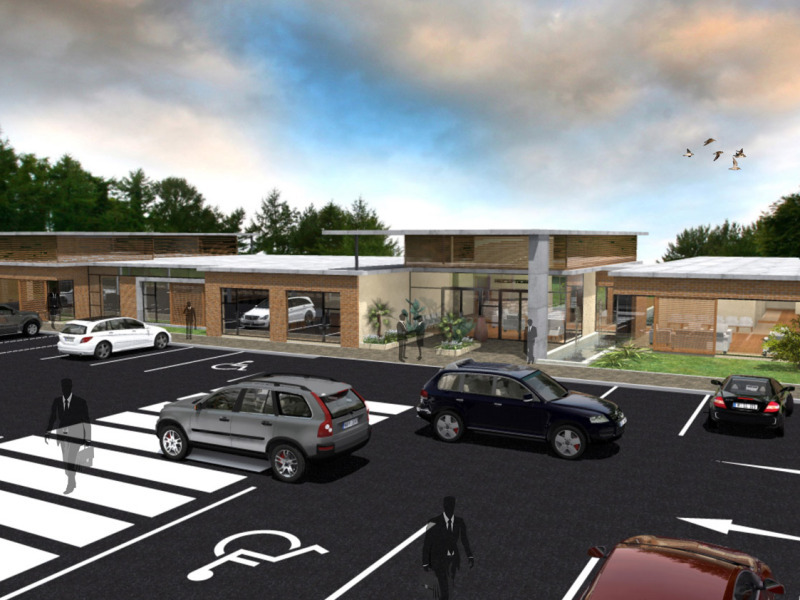 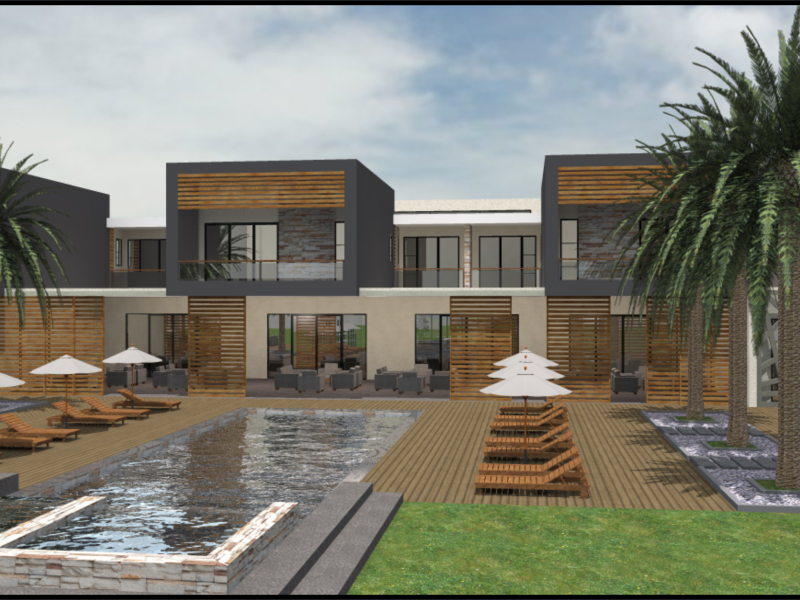 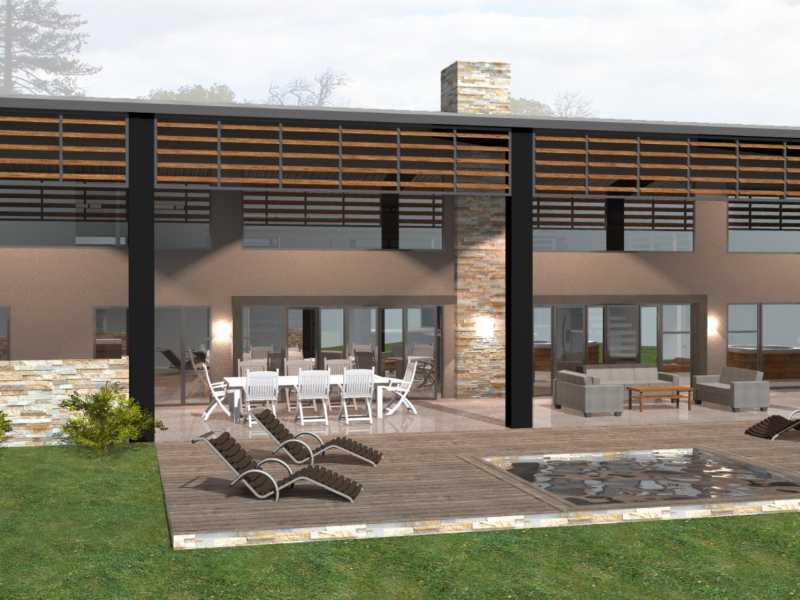 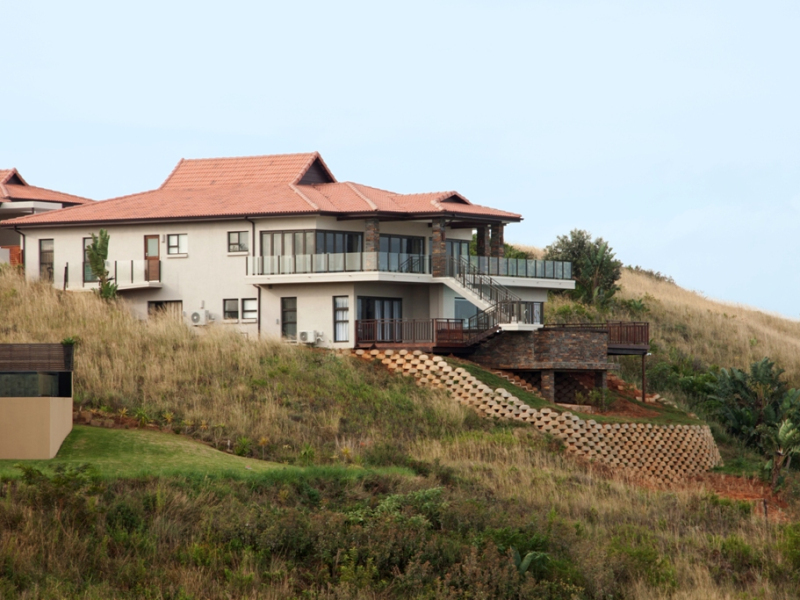 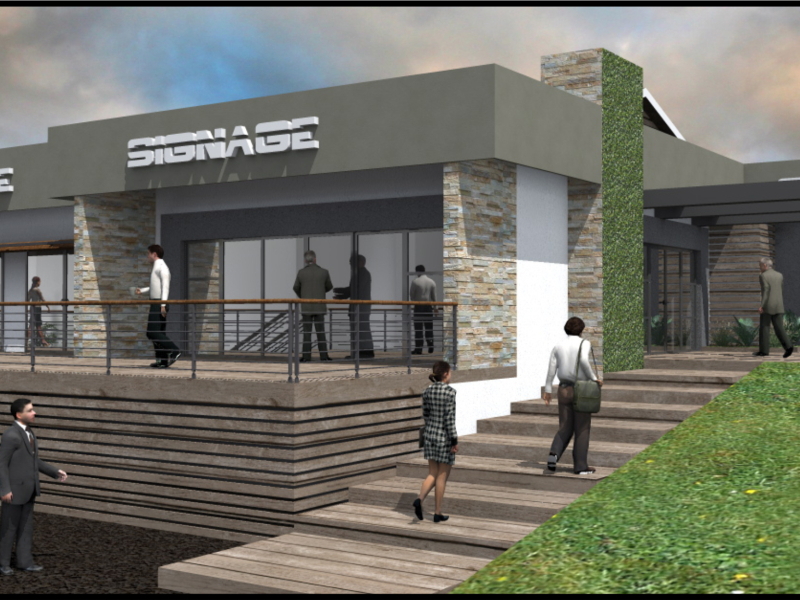 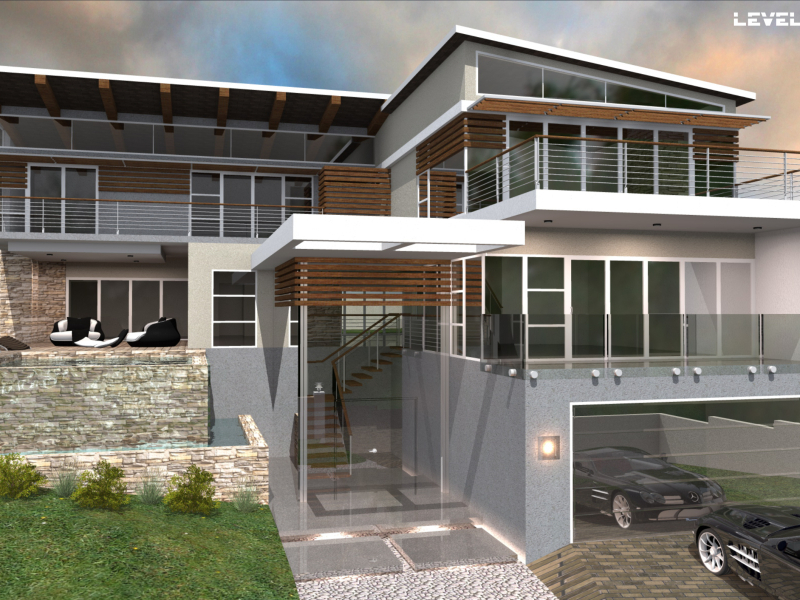 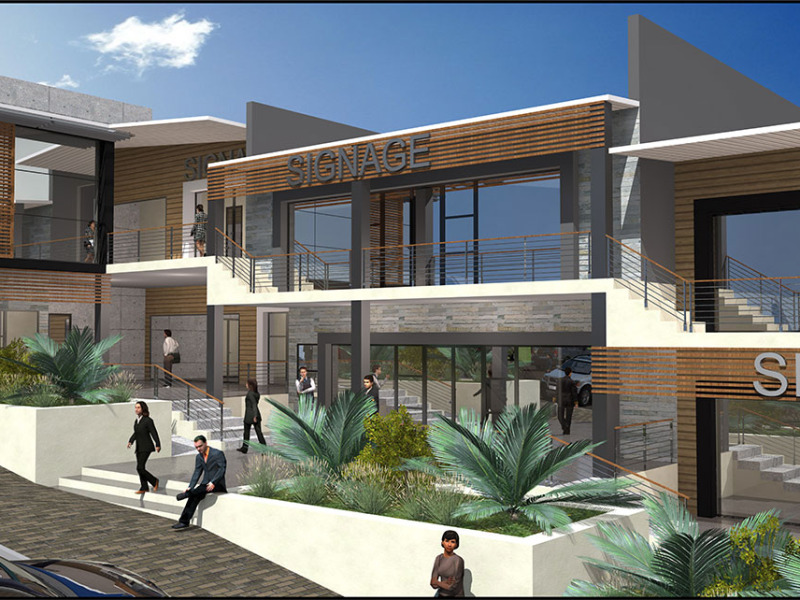 Business sector – Best Architect firm in the KwaZulu-Natal South Coast region 2010 – Golden Arrow Award. 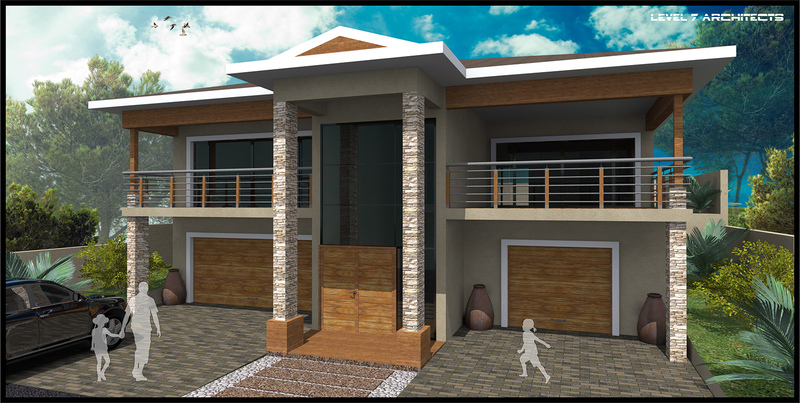 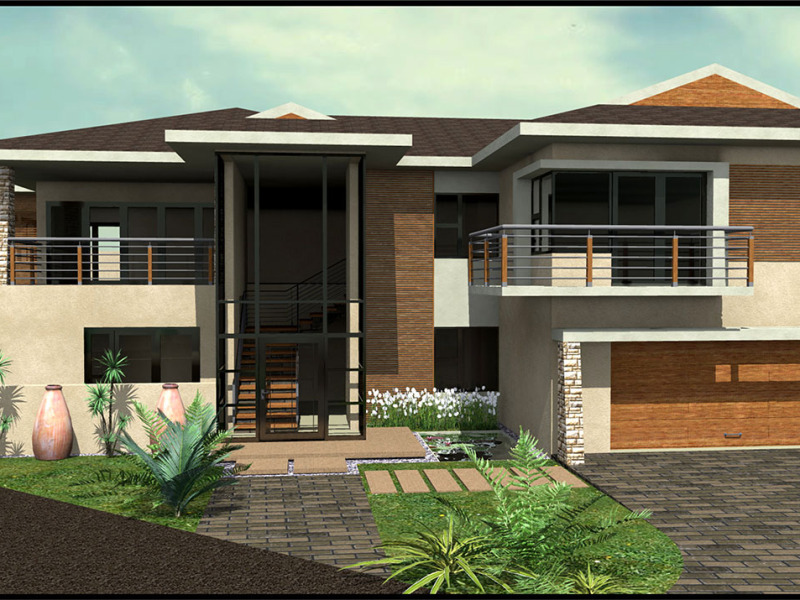 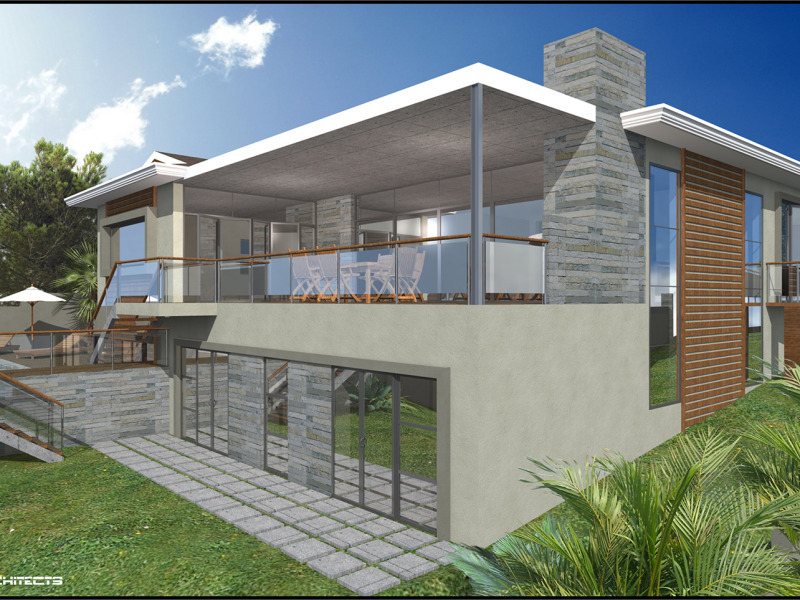 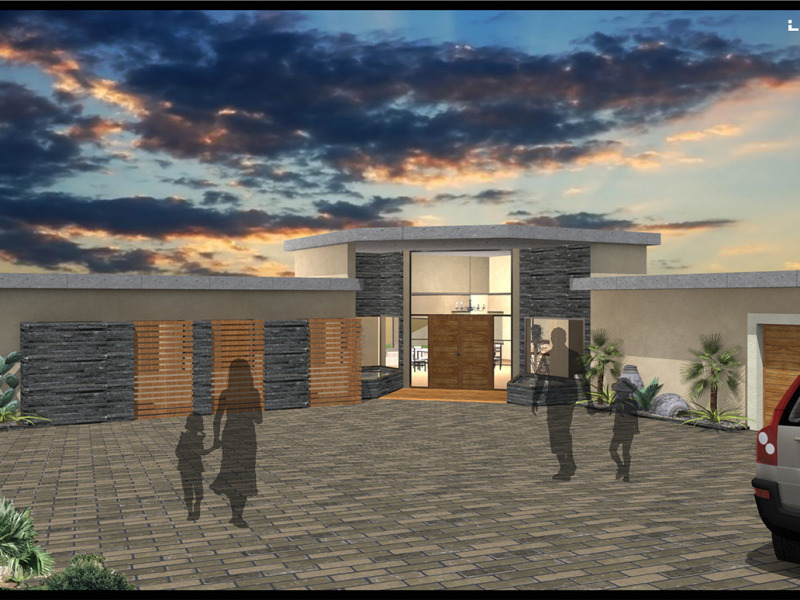 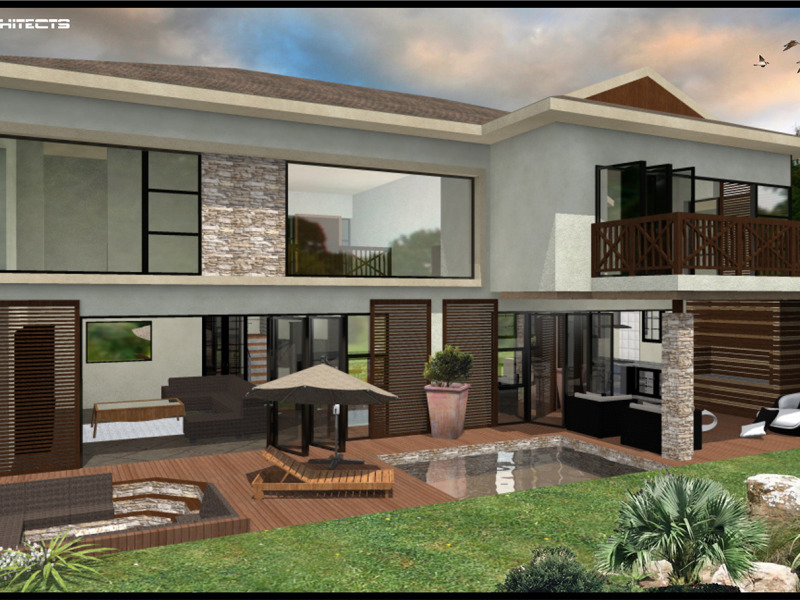 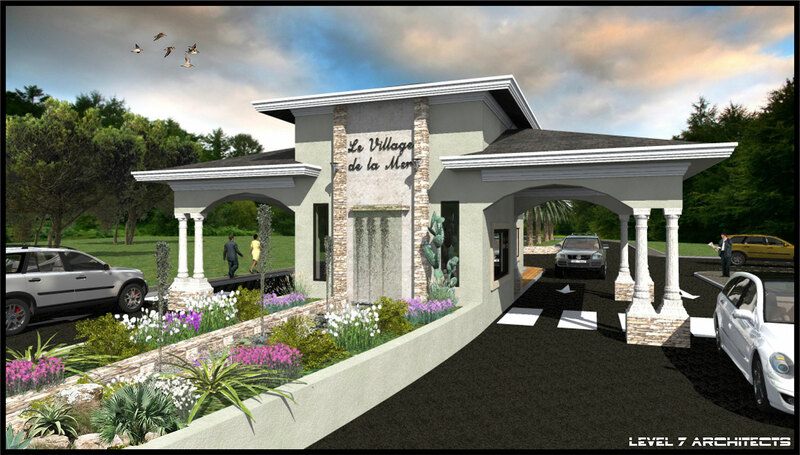 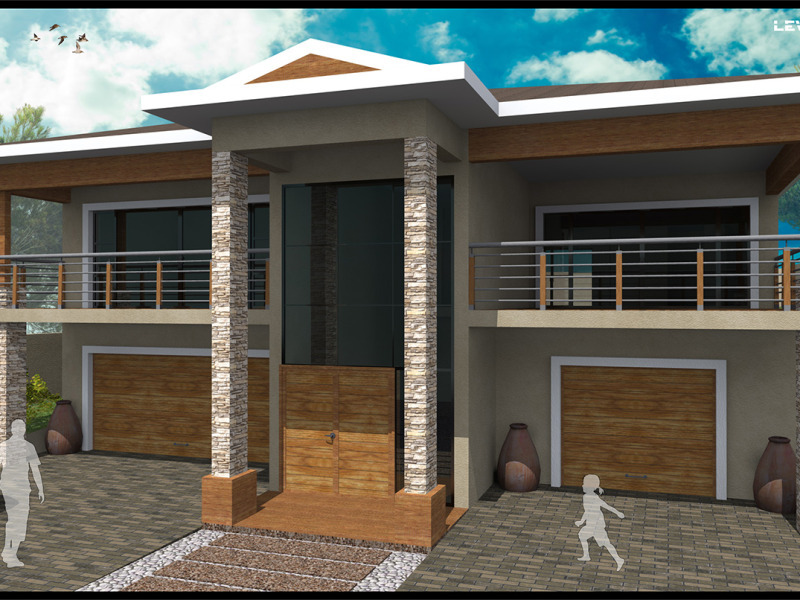 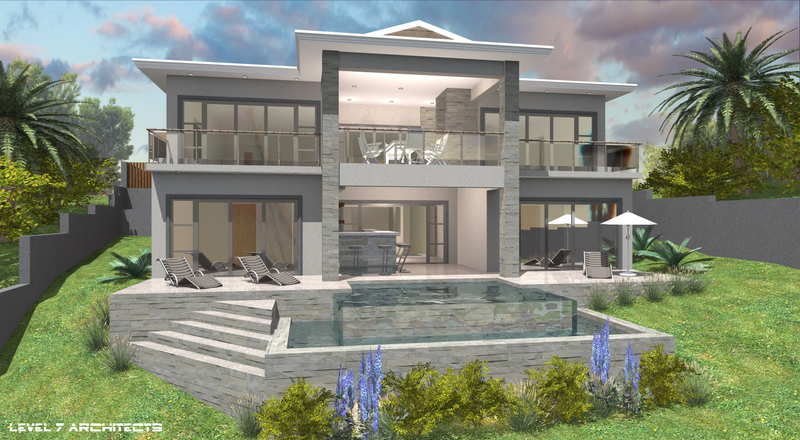 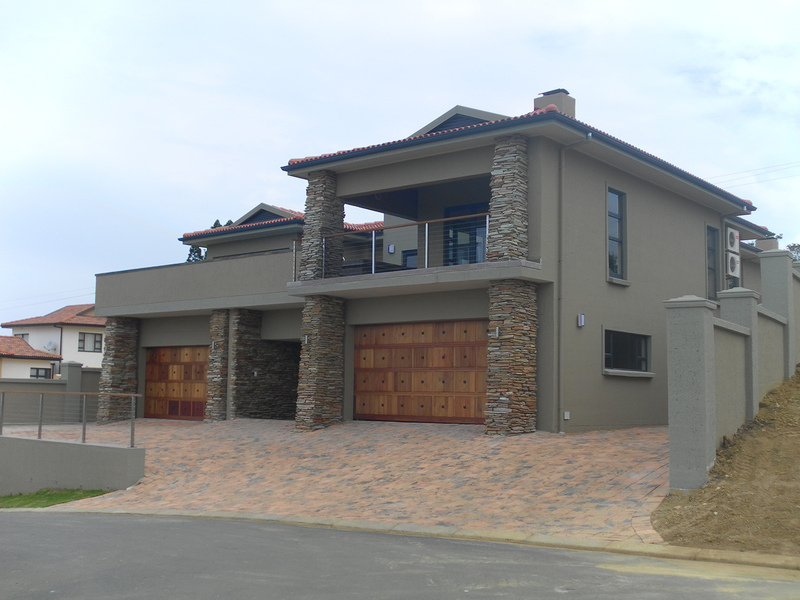 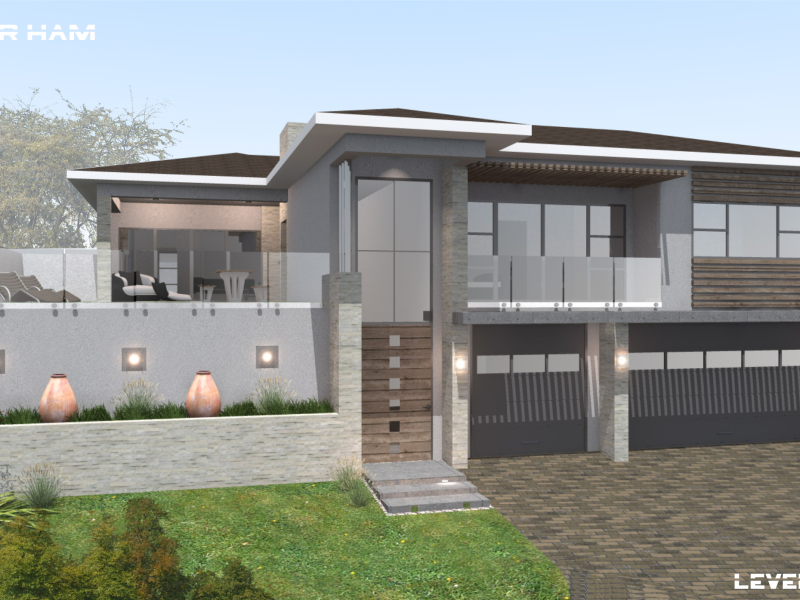 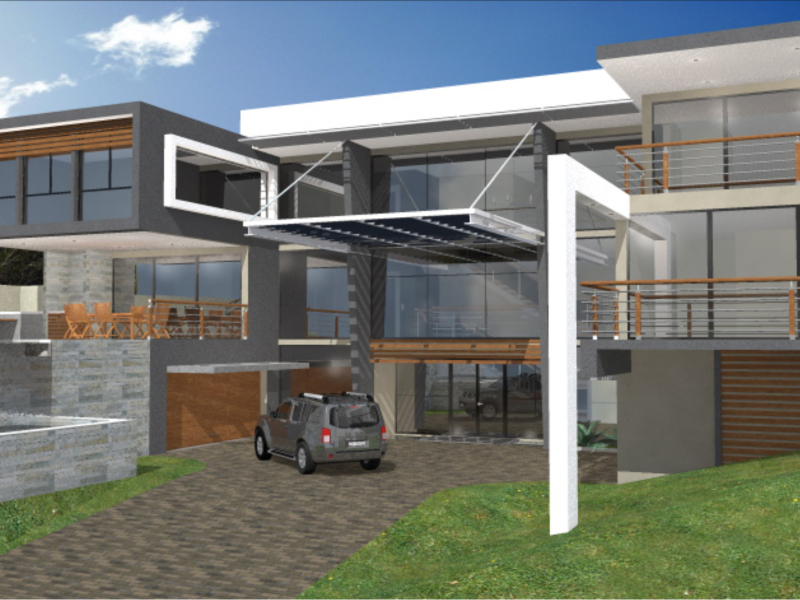 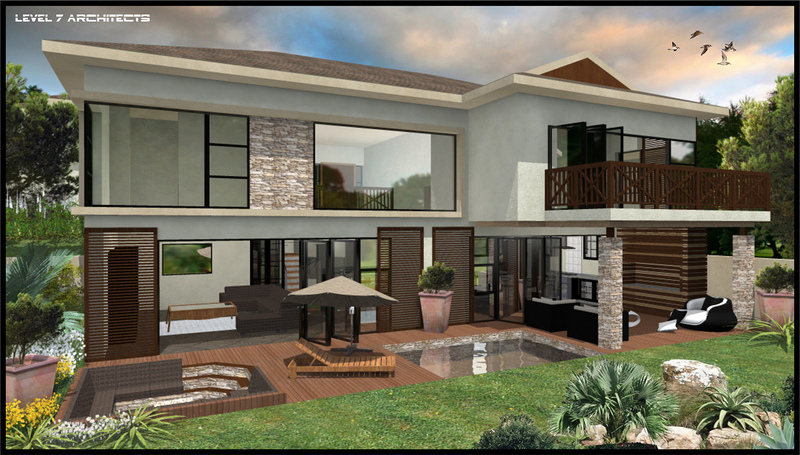 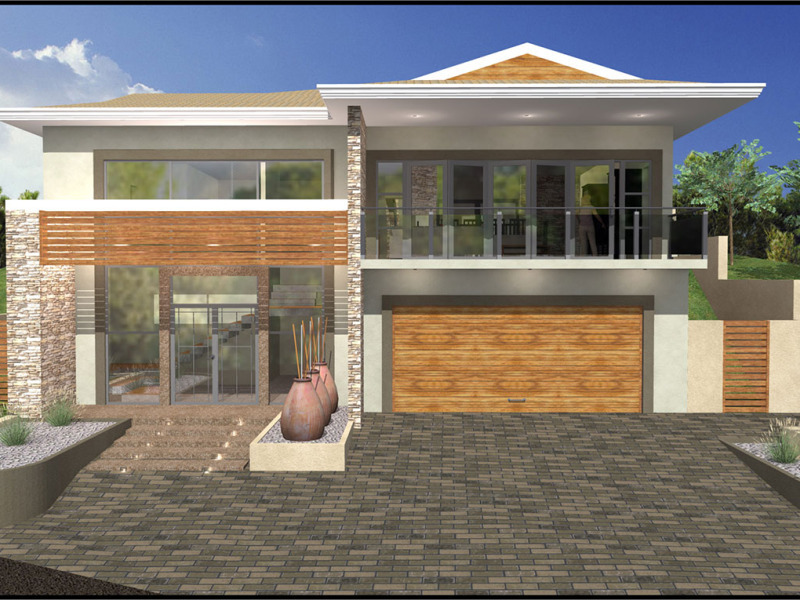 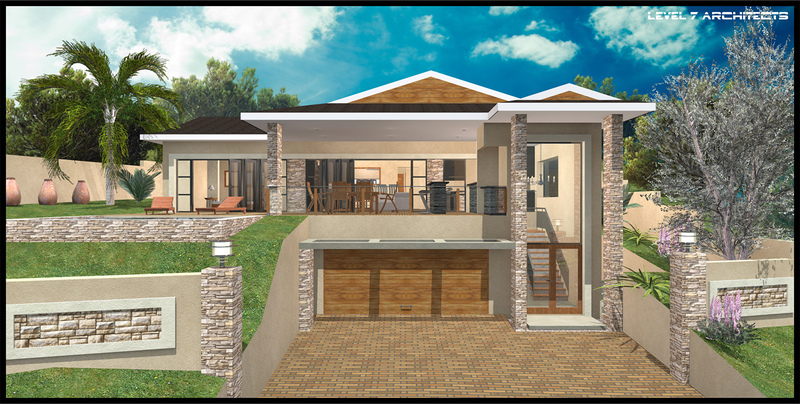 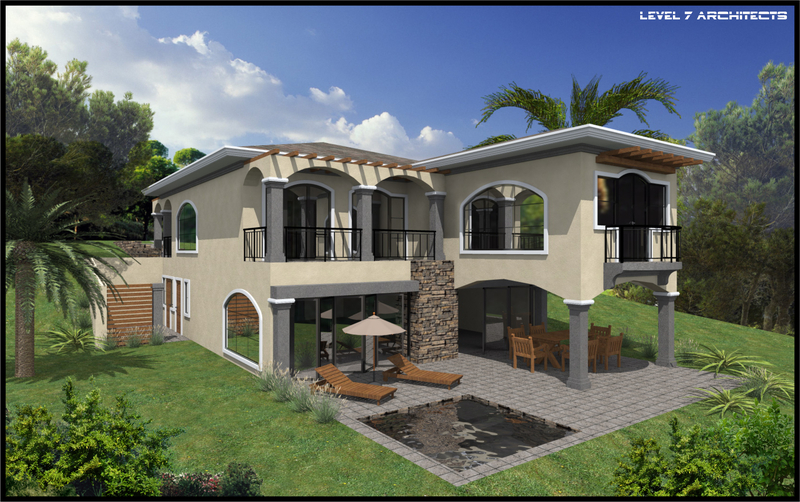 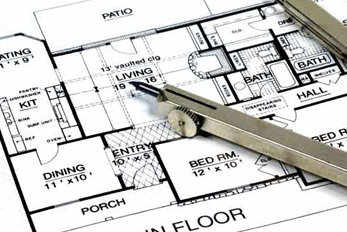 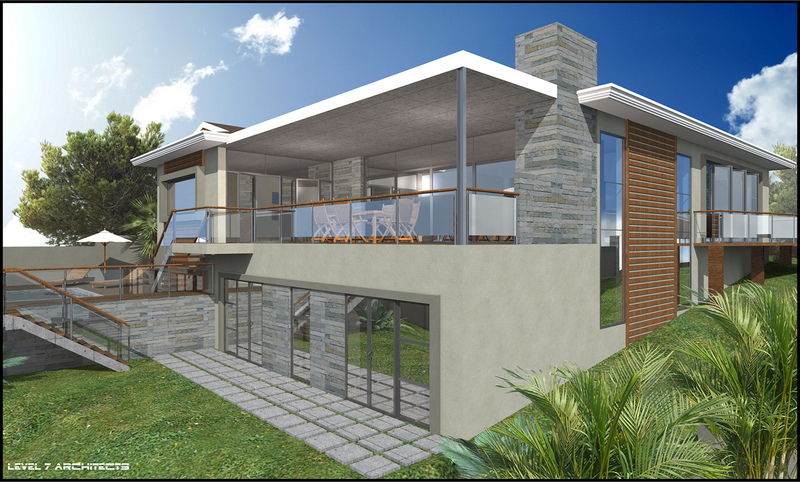 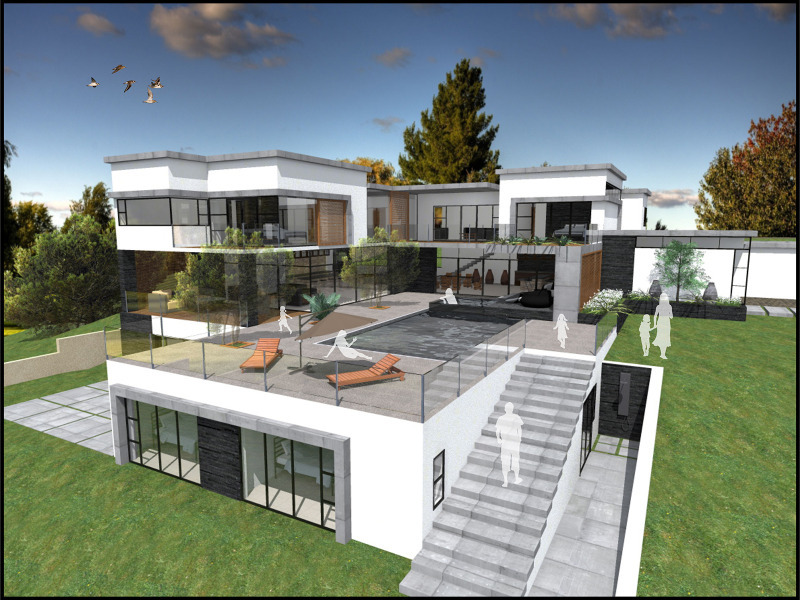 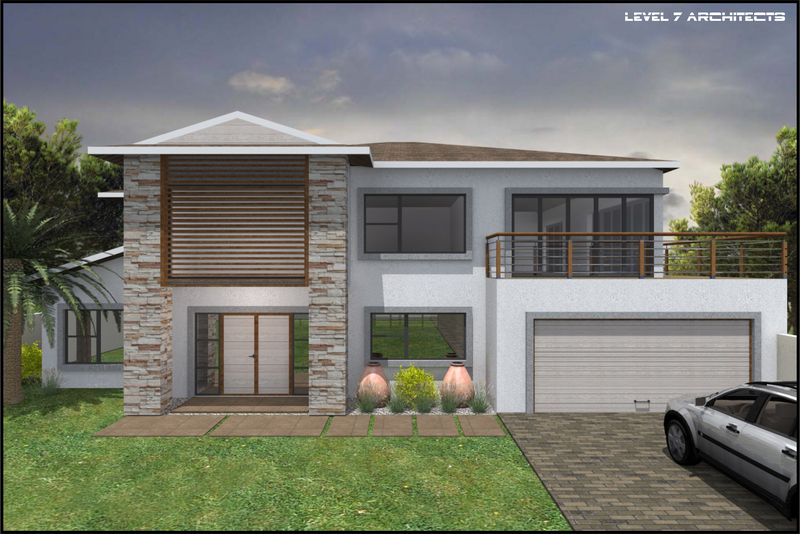 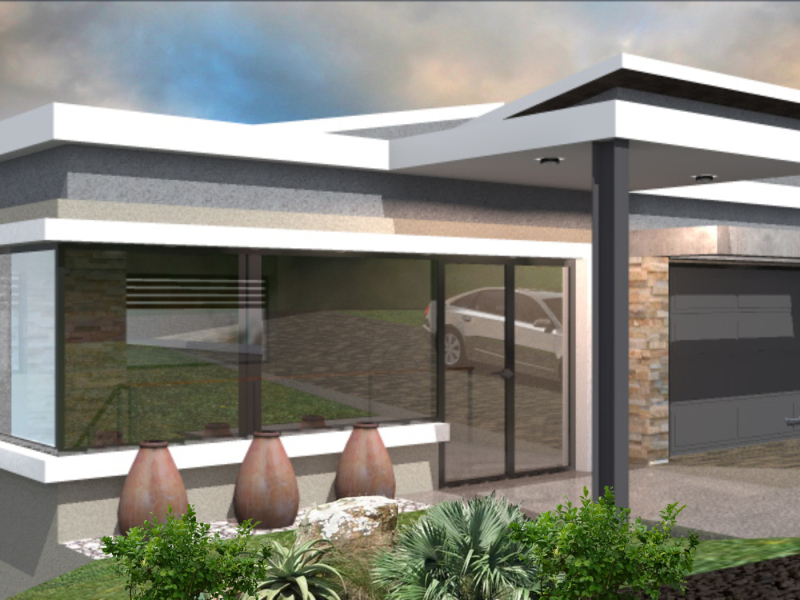 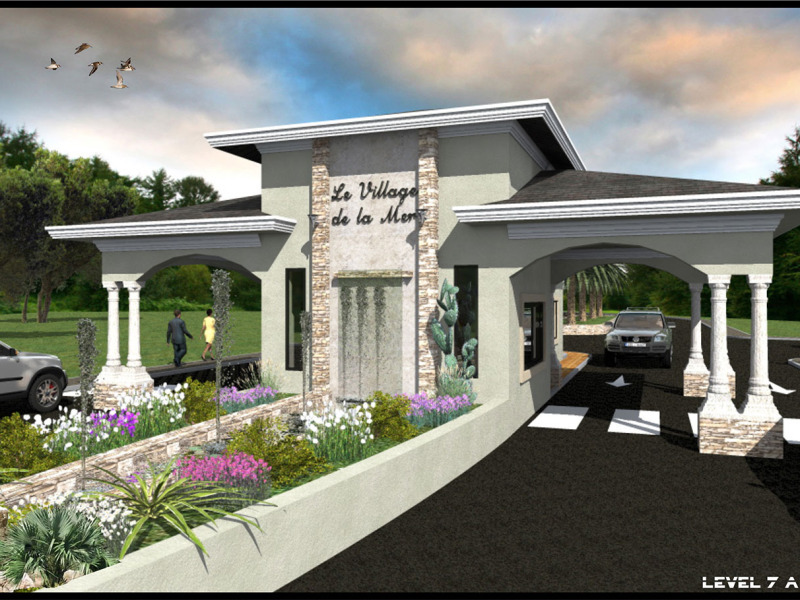 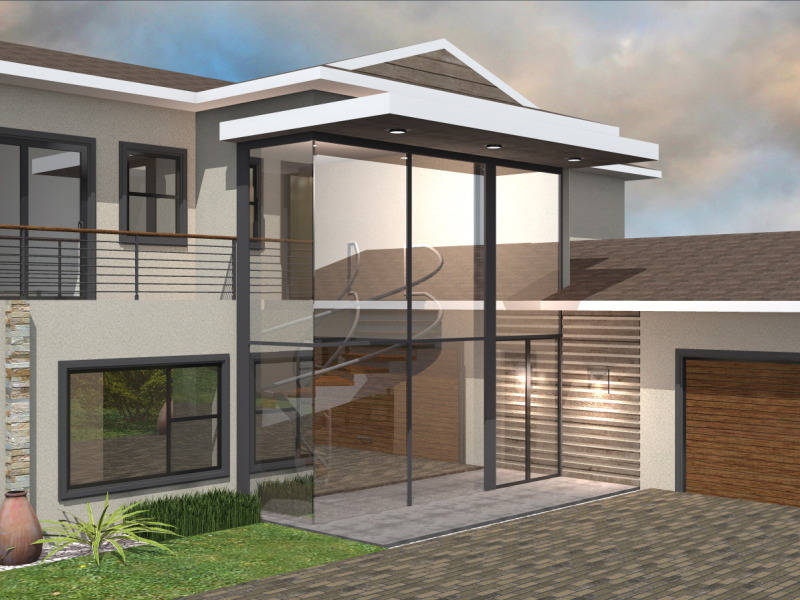 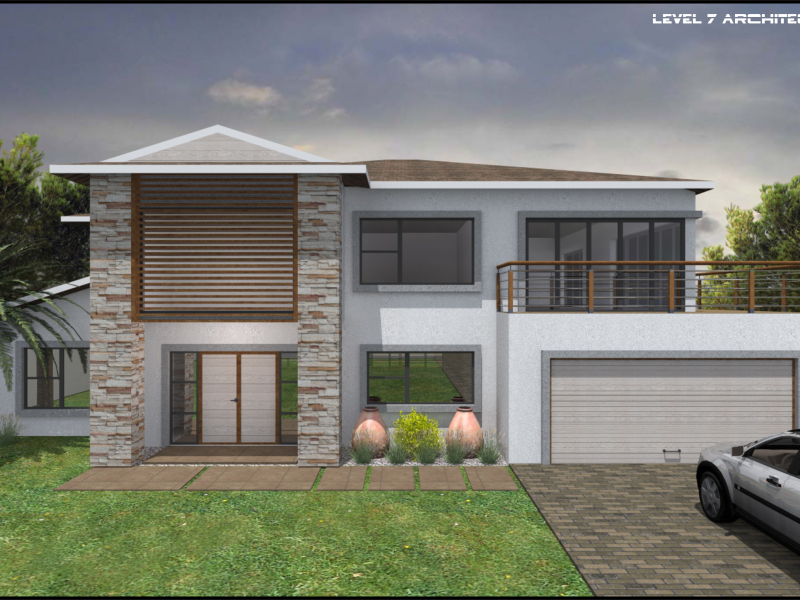 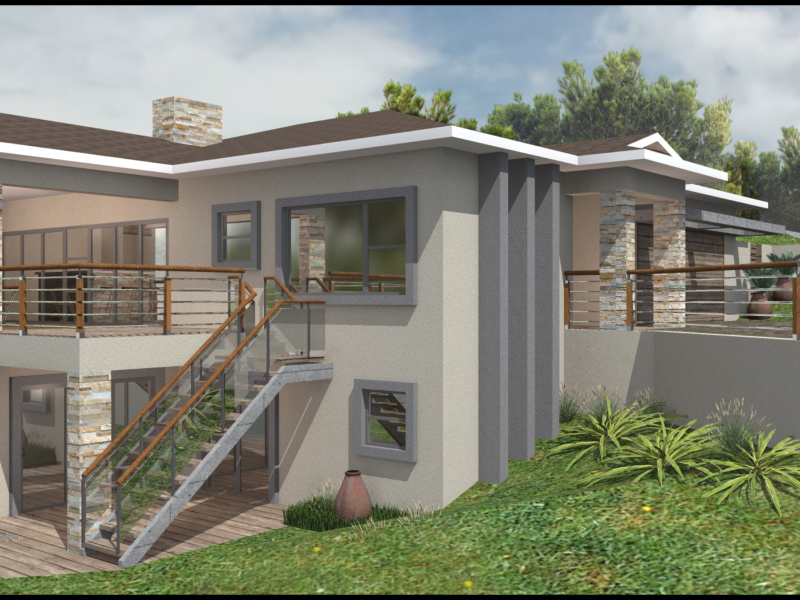 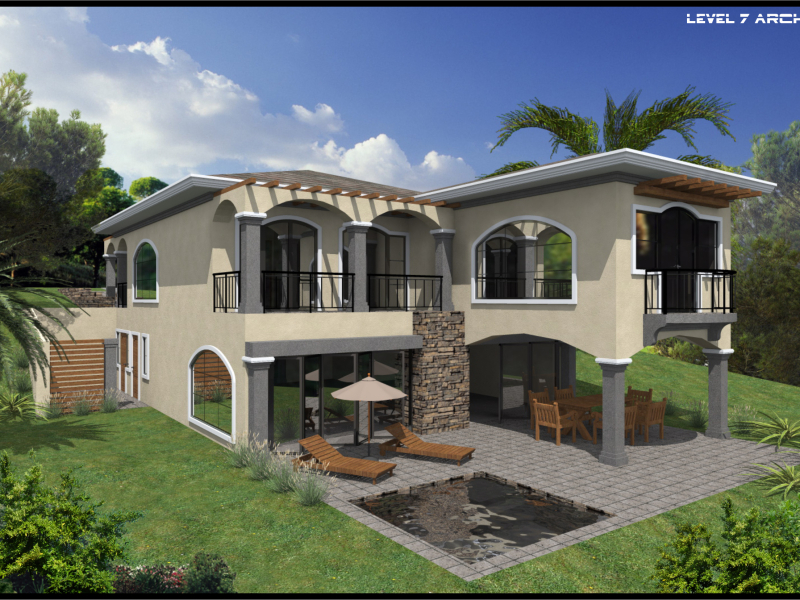 Our practice comprises of two professional architects and in addition we employ a team of 2 highly experienced technical draughting staff. 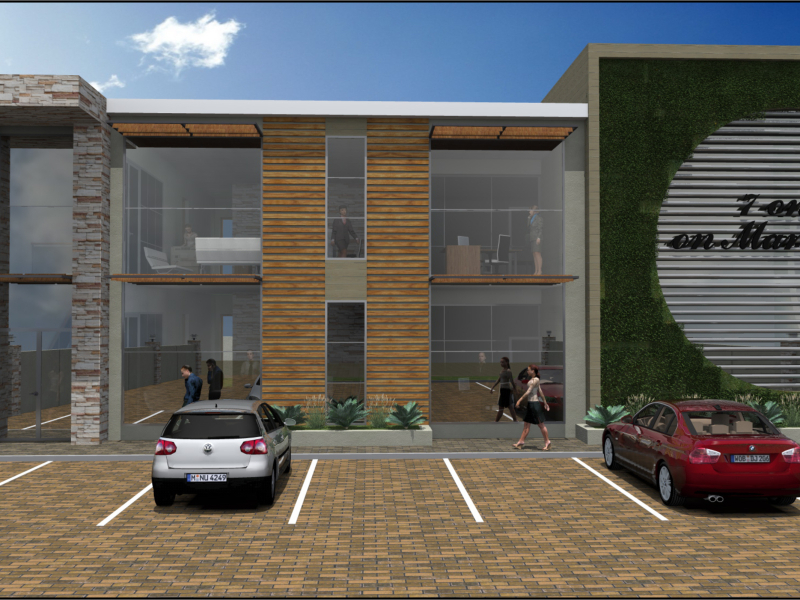 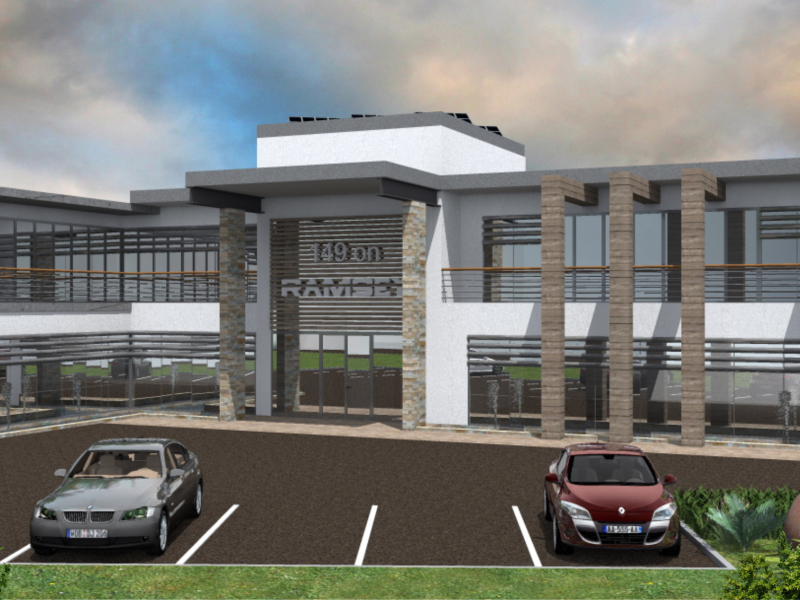 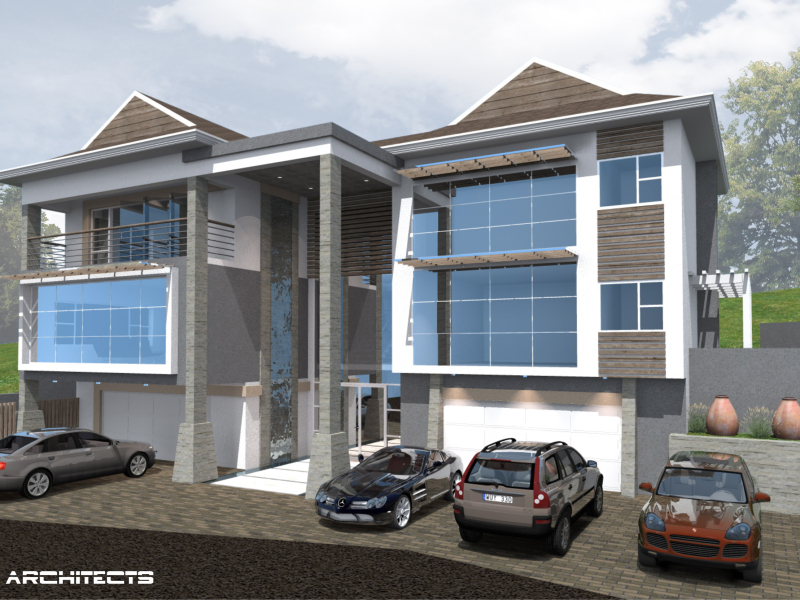 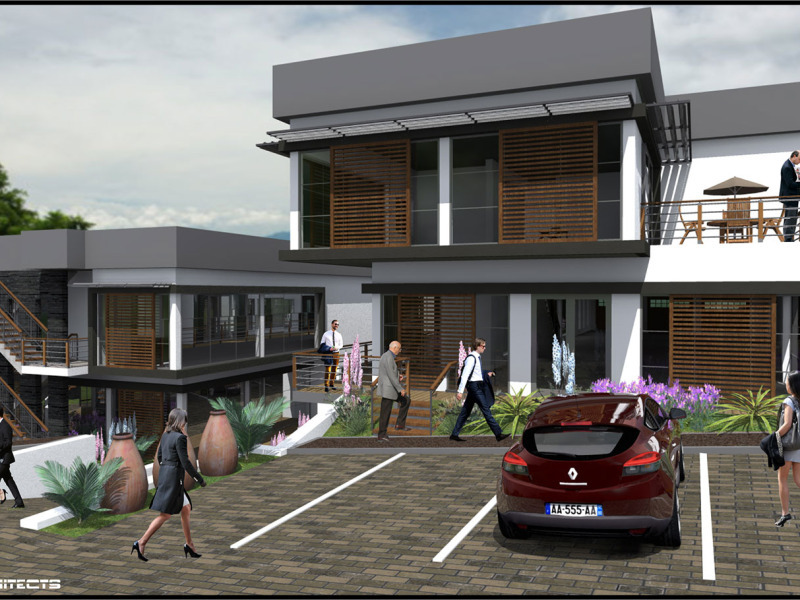 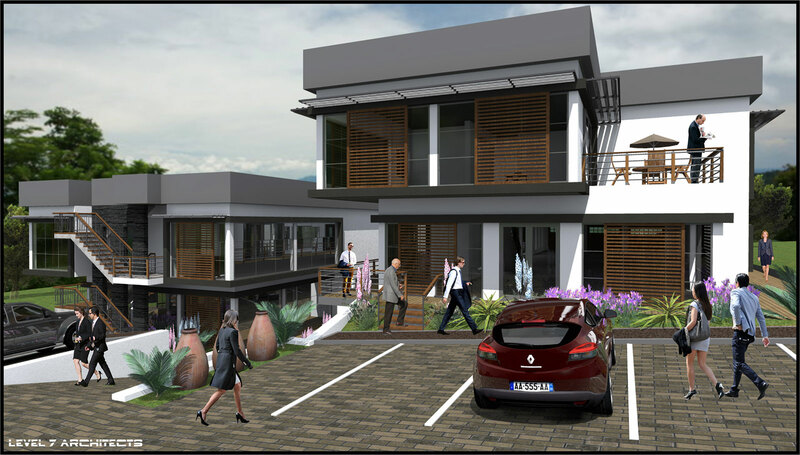 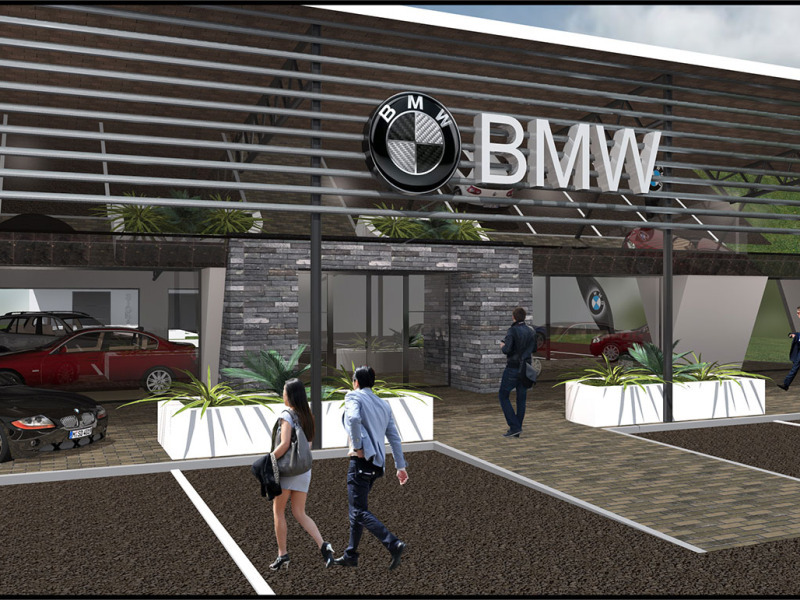 Our office is fully computerised with a networked CAD system and 3D rendering and visualization programmes. 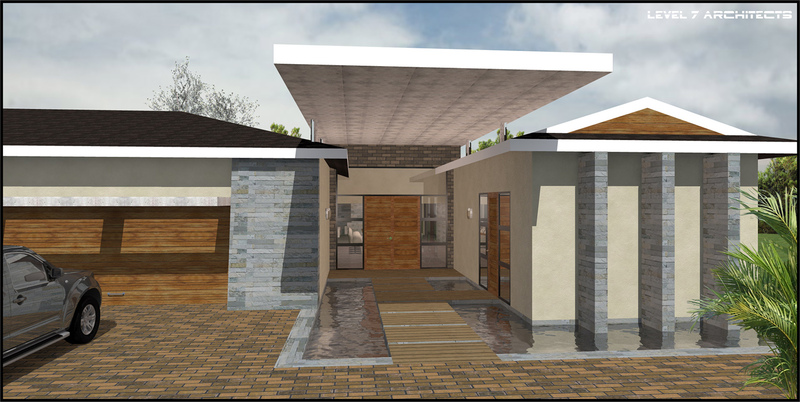 With key business sense, innovative, creative & dynamic design, individual attention to each client’s lifestyle and needs is fundamental to ensuring that their architectural project is designed around themselves, and to suite their home OR business environment. 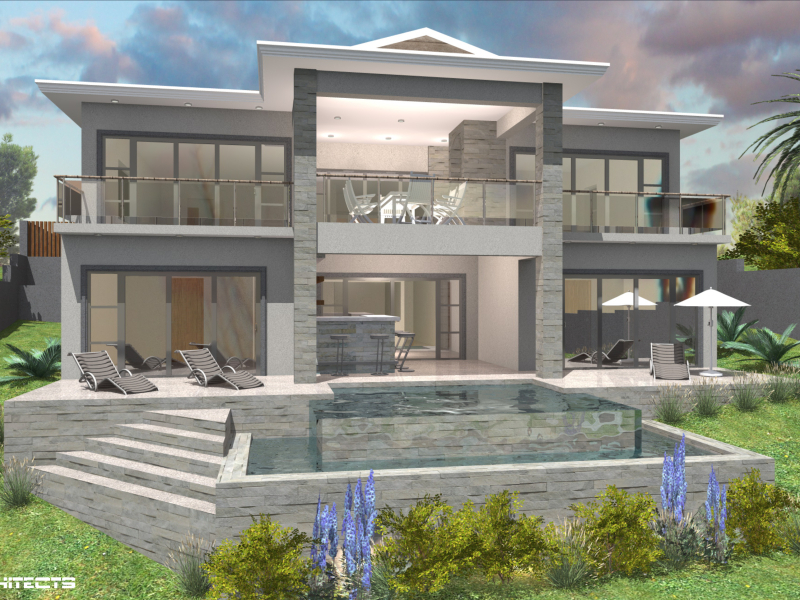 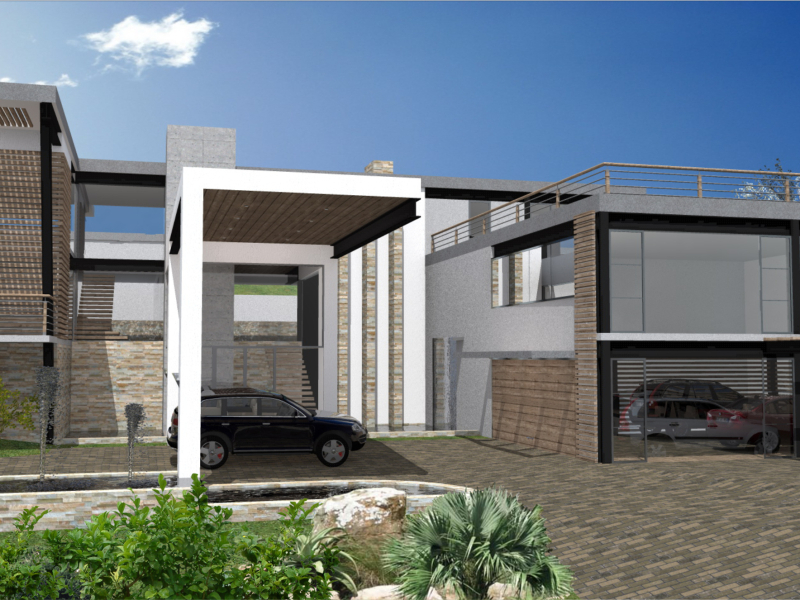 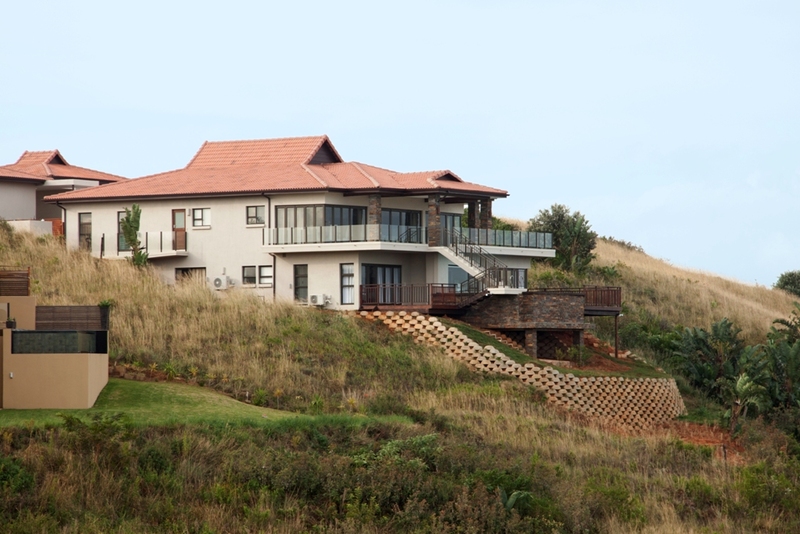 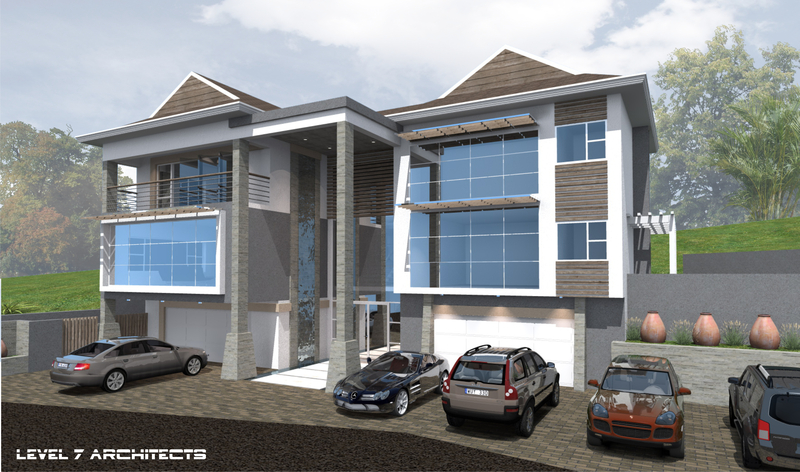 Situated in the heart of Palm Lakes Family Estate, set against a breathtaking backdrop of lush, rolling green hills on KZN’s North Coast, LEVEL 7’s architectural team endeavoured to meet a creative and dynamic home design with innovative flare, whilst still meeting the requirements of an idyllic family orientated home. 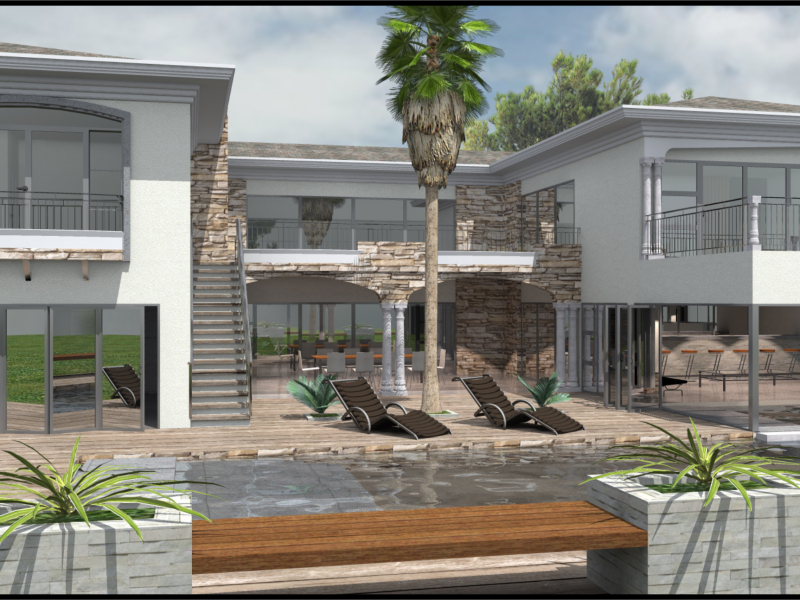 The 250m2 design boasts unique aesthetic features that represent both Level 7’s design signatures and Palm Lakes architectural and aesthetic requirements. 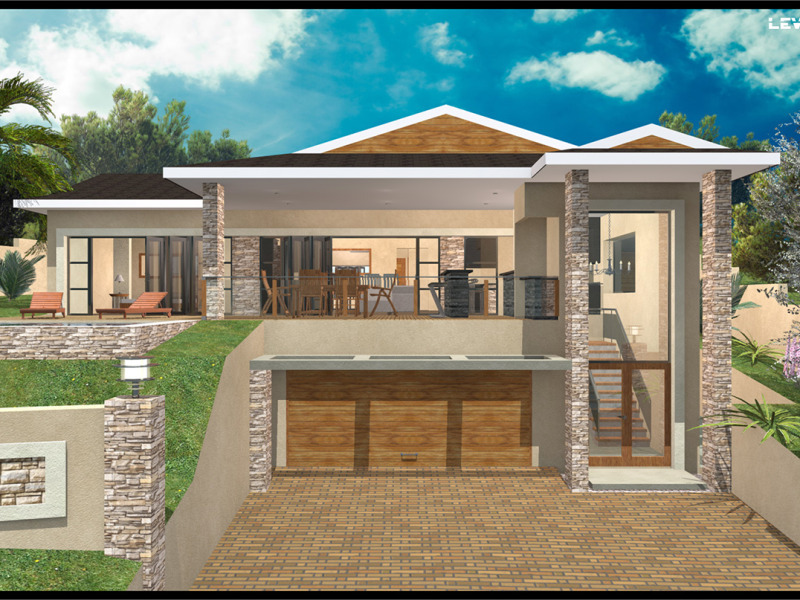 We pride ourselves on our work and the clients we work with. 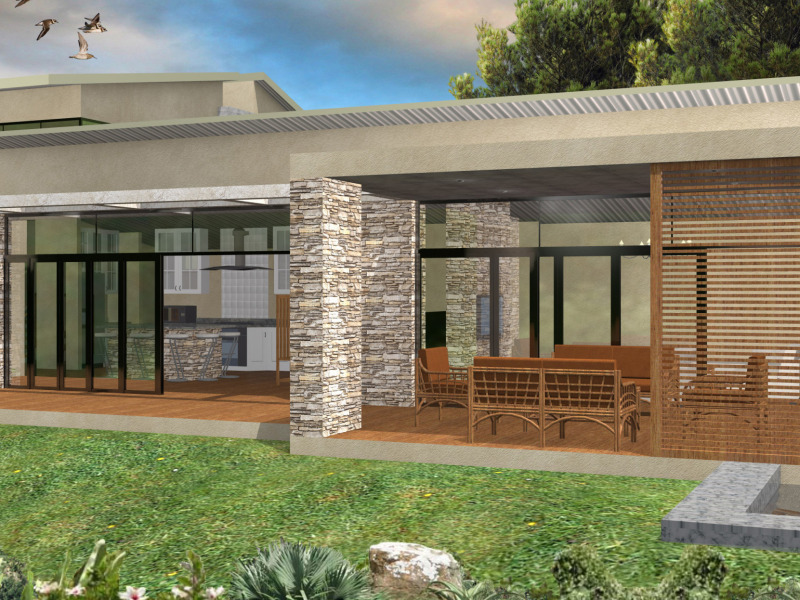 OUR SHELLY BEACH STUDIO ENCOURAGES COLLABORATION, COMMUNICATION AND CREATIVITY. 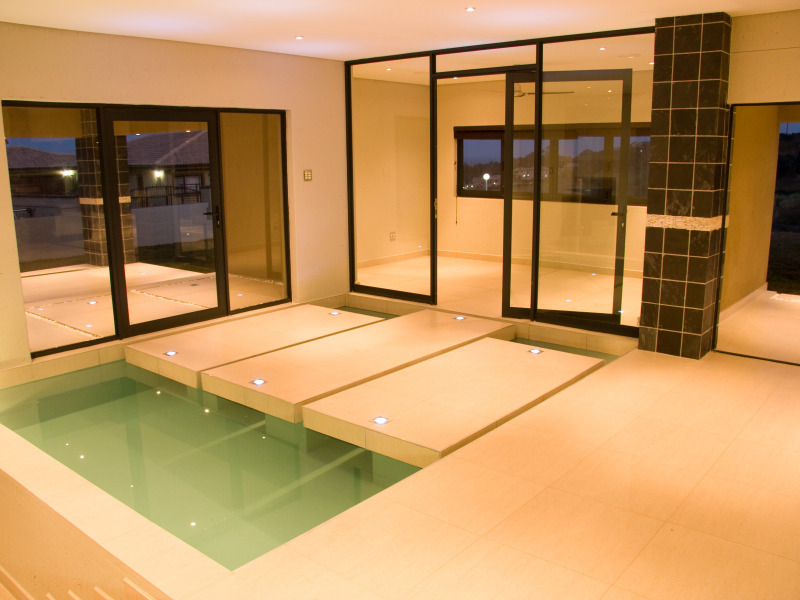 YOU’RE WELCOME ANYTIME.